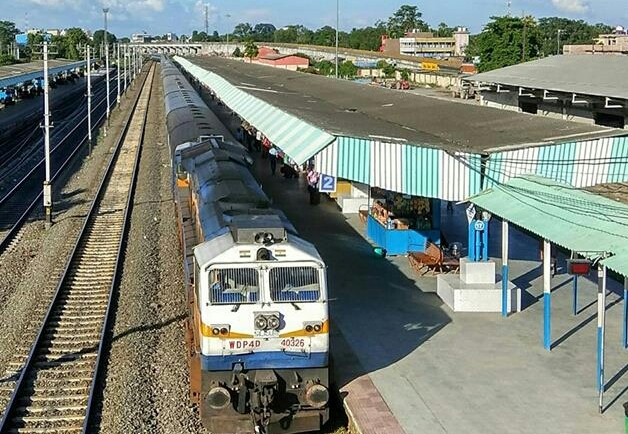 Railways has cancelled 12 passenger trains and diverted 10 other long distance passenger trains till August 3 due to non-interlocking work on the Lucknow-Sultanganj section of Northern Railway. East Central Railway (ECR) CPRO Rajesh Kumar said railways is carrying out non-interlocking work between Chandrauli and Trivediganj stations in Lucknow division from track safety point of view. The non-interlocking work is also going on at Haiderganj station of the division. While railways has cancelled 12 passenger trains, about 10 other passenger trains originating from Bihar and West Bengal have been diverted to Lucknow-Faizabad-Zafrabad and Lucknow-Pratapgarh-Varanasi routes, Kumar said. The CPRO said Howrah-Jammu Tavi Himgiri Express (12331-12332), Howrah-Amritsar Express (13049-13050), Patliputra-Chandigarh Express (13255-13256), Raxaul-Delhi Sadbhawna Express (14007-14008, 14015-14016) and Barauni-Ambala Harihar Express (14523-14524) are some of the important trains which will remain cancelled during the period. The Delhi-Sealdah Express (13120) has been diverted to Lucknow-Faizabad- Zafrabad route and Dibrugarh-New Delhi Rajdhani Express (12435) is running via Varanansi-Pratapgarh-Lucknow route. Similarly, Kota-Patna Express (13240) is diverted to Lucknow-Faizabad-Zafrabad route and Guwahti-Indore Express (19306) to Sultanpur-Faizabad-Lucknow route. Dehradun-Howrah Express, Haridwar-Howrah Express and Ambala-Sealdah Express are running via Lucknow-Pratapgarh-Varanasi route. Danapur-Anand Vihar Jansadharan Express (13257) is also running via Lucknow-Pratapgarh-Varanasi route while Malda Town-Delhi Farakka Express (13413) has been diverted to Mughalsarai-Allahabad-Kanpur route. Meanwhile, Rajgir-New Delhi Shramjeevi Express will be running about one hour behind the schedule till August 3 due to the ongoing non-interlocking work. Railways has also decided to extend the run of Raxaul-Hyderabad Express and Darbhanga-Secunderabad Express to cope with rush of passengers, sources said.